This photograph shows inmates Earnest Brooks, 7435, and Phillip Killion, 6545. Earnest Brooks was received at the Kansas State Penitentiary on June 5, 1895 from Sumner County, Kansas for stealing a horse and buggy. 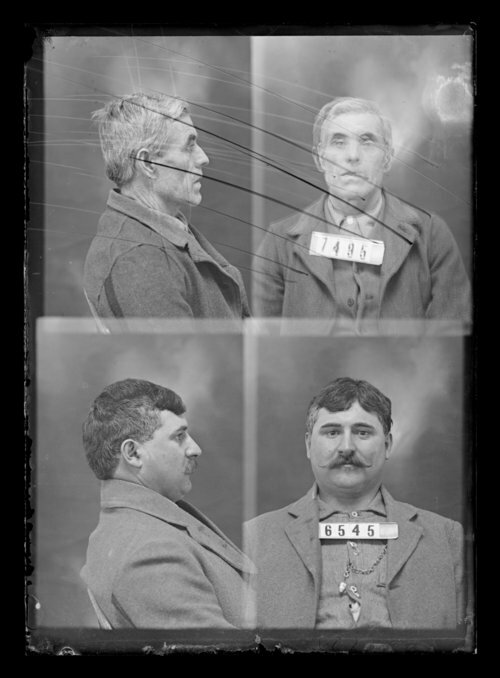 Phillip Killion, alias for Philip Bub, was received at the penitentiary on May 2, 1893 from Cowley County, Kansas for murder.